The FastPBX 3-Line IP Phone office phone allows for secure remote provisioning and automatic software upgrades. Easily get started with your FastPBX 3-Line IP Phone with our plug and play technology. No complex wiring is necessary and downtime is almost nonexistent. Get the classic FastPBX 3-Line IP Phone for your small business and start turbo-charging your communications. Activation with FastPBX business phone service is required. 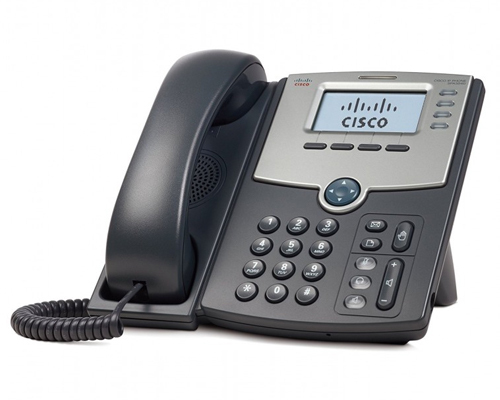 The Cisco SPA 303 3-Line IP Phone with 2-Port Switch has been tested to help ensure comprehensive interoperability with equipment from voice over IP (VoIP) infrastructure leaders, enabling service providers to quickly roll out competitive, feature-rich services to their customers.